CADRE provides support in the field of communication development and communication strategy, and has conducted a range of activities in South Africa and internationally. We develop and promote critical perspectives on the relationship between communication and HIV/AIDS through theoretical development, methodology development and rigorous approaches to research. Additionally, we are involved in the development, production and evaluation of communication interventions. Conducting the first national HIV/AIDS communication survey in South Africa in 2006. This survey reviewed the reach and impact of the main national communication interventions, and includes ongoing quantitative and qualitative research. It is conducted in partnership with Johns Hopkins Health and Education in South Africa (JHHESA), Khomanani/Health Development Africa and Soul City. Co-funding was provided by the Department of Health in South Africa and PEPFAR. Conducting a review of HIV prevention communication in eleven African countries for Swedish International Development Cooperation Agency (Sida). An ongoing development and evaluative review of a docudrama on the Science of AIDS for the Discovery Channel Global Education Partnership (DCGEP). Involvement in the steering committees of the Fourth International Entertainment Education Conference which was held in Cape Town in 2004, and the upcoming conference to be held in 2008. Curriculum development and teaching for a post-graduate Entertainment Education course in partnership with the Culture, Communication and Media Studies programme at the University of KwaZulu-Natal. The development and evaluation of the Tsha Tsha television series in partnership with the South African Broadcasting Corporation (SABC), Curious Pictures, Johns Hopkins University Center for Communications Programs and JHHESA in South Africa. Tsha Tsha was broadcast during prime-time on SABC 1 and 78 episodes were aired between 2003 and 2006. The series has also been re-broadcast. 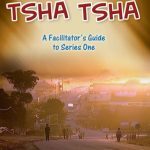 The development of resource and training materials for Tsha Tsha. These materials are used extensively in Higher Education Institutions in South Africa, and have also been piloted in correctional centres. 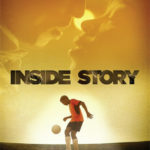 Distribution extends to NGOs in South Africa and other countries. Funding is provided by PEPFAR. The development of the Conversations: HIV and the Family project which includes photographs and stories of South African families living with HIV/AIDS. A photographic display and publication is available to organisations/corporates for use as a training and support resource in facilitating discussions about HIV/AIDS and the family and HIV/AIDS in the work place. Partnership with ABC Ulwazi in the development of HIV/AIDS and health-related programmes for community radio stations in South Africa. Research and development of HIV/AIDS communication materials include a 13-part radio drama series, Body, Mind and Soul, funded by PEPFAR. Two other 13-part drama series have been developed, The Journey, and Flowers from a Lizard, as well as public service announcements and a series of features entitled The Price of Love, funded by The Royal Netherlands Embassy. CADRE provides ongoing evaluation support and expertise to ABC Ulwaziâ€™s project evaluation work. Copies of publications on HIV/AIDS communication can be found in the Publications & Presentations menu or use the search.